This letter to the editor was written by Mason Reaser, junior in sociology. 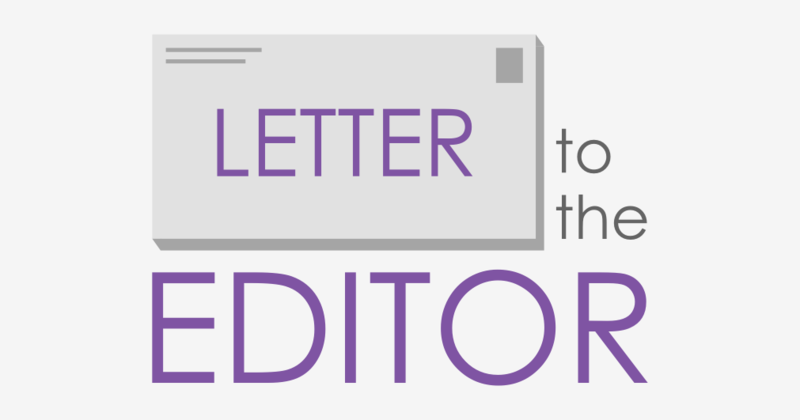 If you would like to write a letter to the Collegian, send us an email at letters@kstatecollegian.com or visit kstatecollegian.com/contact. A person is influenced by many things from the type of shoes in the display cases at the mall to the values instilled in them through their religious beliefs. The biggest influence (positive and negative) in society today is the various social media outlets that everyone uses every single day. Biases and prejudices are all over the internet and someone can develop the same biases of the news they consume or Twitter accounts they follow. Police officers acting with racist intent is a major topic of discussion online. The media often paints the officer’s involvement as willful intent instead of looking at the facts and circumstances surrounding the incident. Viewers will typically assume the officer is at fault without considering that the media takes things out of context and uses partial information to make judgement about police shootings. People can assume that the media is always accurate and that it would not give us twisted and morphed information, but that is not the case. There are some news outlets that are known by how they sway their stories right or left. Sources like the New York Times, Washington Post, and NBC tend to lean left, while The Daily Wire, The Blaze, and Fox are solidly conservative. The underlying bias present in media sources subconsciously affects consumers, unknowingly integrating bias into their everyday activities. When it comes to police shootings and crime, the media perpetuates several stereotypes and biases. The first is the portrayal of African-Americans as criminals. Based on data culled by the FBI from the Uniform Crime Reporting Program, 70 percent of all criminals arrested in the year 2016 were white. This ratio was flipped in specific crimes, such as murder and robbery, but overall whites committed the majority of crimes. Despite this, news stories focused on instances where a white police officer engaged with an African-American suspect. 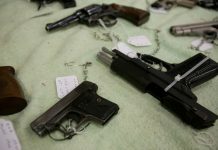 An average of forty-one percent of news time that covered violent crime stories between three local new stations in Chicago depicted black criminals according one a media analysis out of St. Catherine University. Throughout the remainder of the study, there are no statistics given on any other races, but it is overwhelmingly apparent that black males, whether they are a youth or an adult, are the target of most media outlet coverage. For the majority of news outlets, the view of African-American males is seriously concerning because of how much the media influences the general public opinion. In addition to these media attacks on the police officers, their personal credibility is also called into question. Once an officer’s integrity is questioned, their ability to testify in court and their reliability as an investigator is compromised. There have even been incidents of police officers given disciplinary hearings based off a biased tweet or post on social media that called the officer’s character into question. Media outlets focusing on “racist” police officers falsely portray the idea that a majority of law enforcement is racist, when any profession can have racist people involved without being known as racist as a whole. Police officers seem to be held to a higher standard than other occupations due to the authority they hold. They’re often put in the spotlight. Yet police departments have no control or way to monitor what is posted about individual officers and the entire occupation in general. There’s no accountability for what other people say about law enforcement. Negative comments have an impact. Reading negative comment after negative comment, and seeing the media depicting a white officer as a racist man with malicious intent, their opinion of police will begin to change. According to the FBI’s Law Enforcement Officers Killed and Assaulted Program, already in 2019, there have been 12 police officers “feloniously killed.” If all someone saw is story after story of black males being killed by white officers, then they would obviously begin to view the police as dangerous if they themselves were black. By the media primarily showing those scenarios, and warping the story to try to show malicious and racist intent, they are creating more and more disconnect between citizens and the men and women put in a position to protect them. Through the attacks on both the professional conduct and the character of police officers, the media creates distance between itself and the people in our society. The intent of some police officers could be racist. If that is the case, they should be punished and reprimanded in the appropriate way. But the fact of the matter is that the media can spin any story to sell to more people. It’s not fair to judge an entire occupation off of the mistakes of a few individuals simply because those individuals are in a position of authority. Police officers make mistakes, and police officers can be wrong, but consistently negative media portrayal only creates distrust. There needs to be a delicate balance, so that way we see both those officers placing themselves in harms way to keep us safe while also holding them accountable. Facts should be presented as such, allowing people to draw their own conclusions instead of receiving information from biased sources. Mason Reaser is a junior in sociology. 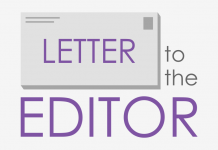 The views and opinions expressed in this letter are those of the author and do not necessarily reflect the official policy or position of the Collegian. Please send comments to opinion@kstatecollegian.com.